This natural sapphire mineral sphere was hand-ground and polished from a natural color corundum crystal that was mined in India. It has completely natural colors in shades of blue and gray (this genuine sapphire sphere is unheated and untreated). This natural color sapphire mineral sphere was hand-ground and polished from a natural corundum crystal that was mined in India. It has completely natural colors in shades of blue, white, brown and gray (this genuine sapphire sphere is unheated and untreated). It also has a 6-ray star that is faintly visible under direct sunlight! See a back-side photo of this natural blue sapphire sphere. This genuine blue sapphire jewelry design is set in solid 14k yellow gold with a natural Ceylon (Sri Lanka) sapphire gem with beautiful medium-dark blue color. This natural sapphire gem faces up eye clean with faint natural color zoning and natural silky inclusions visible only under very close inspection (GIA: Type II gem, Clarity Grade VS). This natural blue sapphire gem was faceted by a local Sri Lankan craftsman, from a natural color blue sapphire crystal mined in Sri Lanka (Ceylon). This blue sapphire pendant was cast in solid 14k white gold and set with a natural color blue sapphire gemstone weighing 1.21 carats. 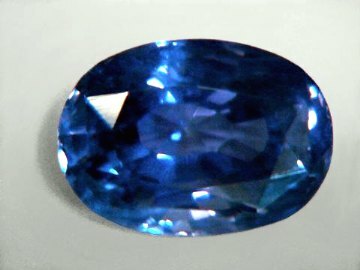 This wonderful Ceylon blue sapphire gem is unheated and untreated. This natural sapphire was mined and faceted in Sri Lanka (Ceylon). It has beautiful medium-dark blue natural color. This genuine blue sapphire gem faces up clean (GIA: Type II Gem, Clarity Grade: VS), with two tiny surface pits and some faint natural inclusions visible only under closer inspection. This untreated sapphire is well cut with very good brilliance! See also a side-view image of this natural blue sapphire 14k white gold pendant. This blue sapphire pendant was handcrafted in solid 14k white gold and set with three natural Ceylon blue sapphire gemstones. This fine Ceylon blue sapphire pendant will make a very beatiful blue sapphire necklace! 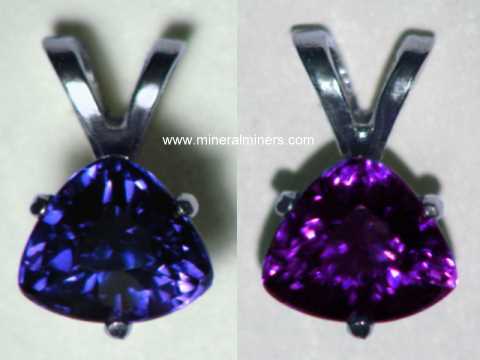 These natural sapphires were mined and faceted in Sri Lanka (Ceylon). The gems have fine dark blue color. These genuine blue sapphire gems are eye clean (GIA: Type II Gem, Clarity Grade: VVS). See also a side-view image of this natural blue sapphire pendant. This pendant is 0.95 inches long. This blue sapphire pendant was handcrafted in solid 14k yellow gold and set with a natural Ceylon blue sapphire gemstone. This fine Ceylon blue sapphire pendant will make a beatiful blue sapphire necklace! This natural sapphire was mined and faceted in Sri Lanka (Ceylon). It has fine dark blue color. This genuine blue sapphire gem is eye clean (GIA: Type II Gem, Clarity Grade: VVS). See also a side-view image of this natural blue sapphire pendant. This blue sapphire pendant was handcrafted in solid 14k white gold and set with a natural Ceylon blue sapphire gemstone weighing 1.12 carats. This beautiful Ceylon blue sapphire pendant will make a wonderful blue sapphire necklace! This natural sapphire was mined and faceted in Sri Lanka (Ceylon). It has medium blue natural color. This genuine blue sapphire gem is eye clean (GIA: Type II Gem, Clarity Grade: VVS), with a faint natural inclusion that is visible only under close inspection with bright illumination. 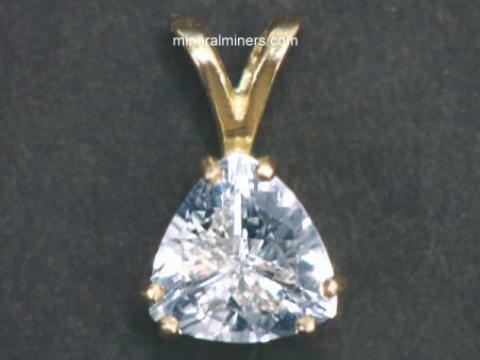 See also a side-view image of this natural blue sapphire 14k gold pendant. This blue sapphire pendant was handcrafted in solid 14k yellow gold and set with a natural color Ceylon blue sapphire gemstone weighing 1.15 carats. 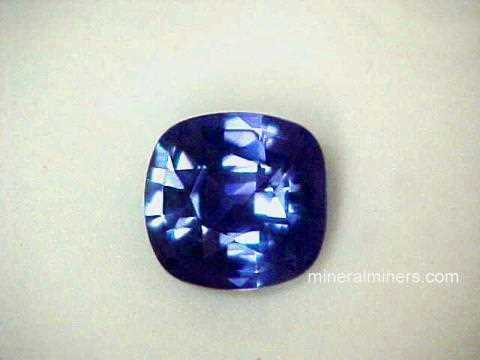 This beautiful Ceylon blue sapphire gem is unheated and untreated. It will make a very nice blue sapphire necklace! This natural sapphire was mined and faceted in Sri Lanka (Ceylon). It has medium blue natural color. This genuine blue sapphire gem faces up eye clean (GIA: Type II Gem, Clarity Grade: VS), with some faint natural inclusions visible only under closer inspection. 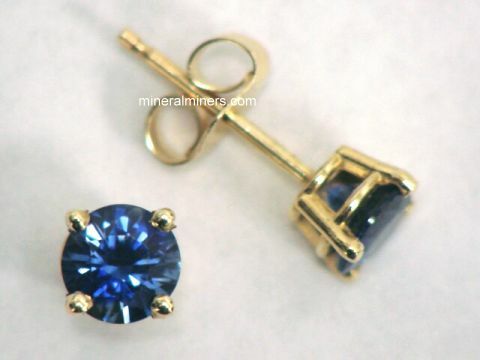 See also a side-view image of this natural blue sapphire 14k gold pendant. This blue sapphire pendant was cast in solid 14k yellow gold and set with a GIA Certified natural color medium deep blue sapphire gemstone weighing 1.07 carats and eight (8) deeper blue sapphires weighing 1.03 carats around. This center natural Ceylon blue sapphire gem is unheated and untreated. This gem sapphire was mined and faceted in Sri Lanka (Ceylon). It has beautiful medium-deep blue natural color. This genuine blue sapphire gem faces up clean (GIA: Type II Gem, Clarity Grade: eye-clean), with faint natural inclusions visible only under closer inspection. This fine color sapphire is well cut with good brilliance. 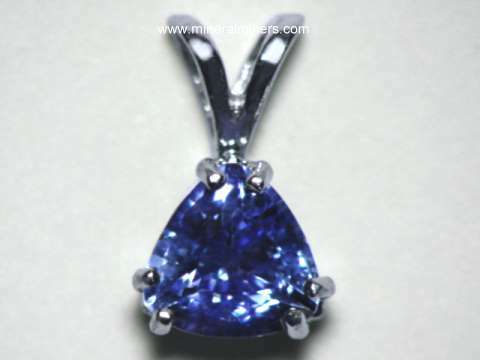 The sapphire's GIA Certificate will be included with this pendant. See also a side-view image of this natural blue sapphire jewelry design. See also another image of this natural GIA certified natural blue sapphire pendant. This genuine blue sapphire jewelry design is set in solid 14k yellow gold with a natural Ceylon (Sri Lanka) sapphire gemstone with lovely medium blue color. This natural sapphire gem faces up almost completely eye clean with faint natural inclusions visible under very close inspection (GIA: Type II gem, Clarity Grade VS/SI). This native cut gem is faceted slightly shallow so it faces up large for its weight with a windowed center. This genuine blue sapphire gem was faceted by a local Sri Lankan craftsman from a natural blue sapphire crystal mined in Sri Lanka (Ceylon). This solid 14k yellow gold star sapphire pendant is set with a natural star sapphire cabochon gemstone. This pendant will make a very nice star sapphire necklace! 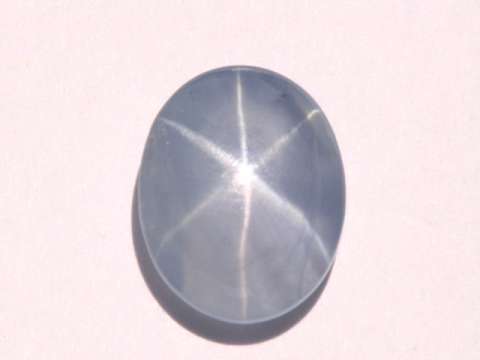 This genuine star sapphire cabochon gem has light gray-blue natural color. 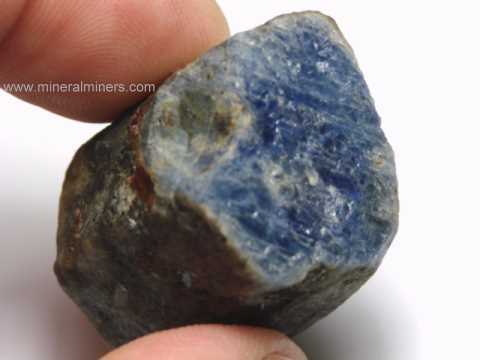 This sapphire gem is completely natural - it has not been heated or treated in any way! See another view of this natural star sapphire jewelry design. It has a well developed natural six ray star when viewed under direct sunlight, with a fairly even background showing faint natural inclusions and cross-hatching. This natural sapphire gem is translucent. 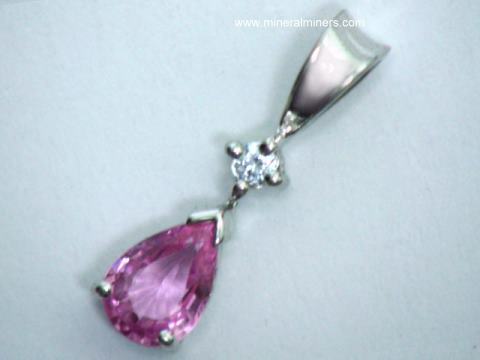 See also a side view photo of this genuine star sapphire pendant. It was handcrafted from a natural star sapphire crystal that was mined in Sri Lanka (Ceylon). This unique 14k white gold star sapphire pendant is set with a natural star sapphire cabochon gemstone. This genuine Ceylon star sapphire weighs 2.20 carats. This pendant will make a very nice star sapphire necklace! See another view of this natural star sapphire jewelry design. This genuine star sapphire cabochon gem has light silvery-gray natural color. 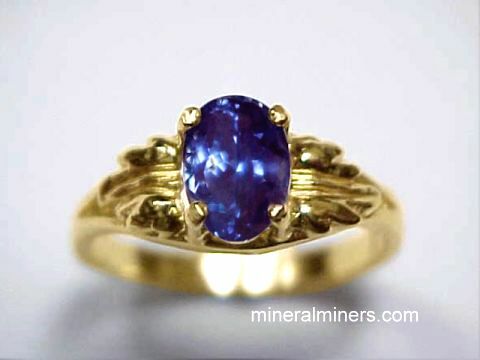 This sapphire gem is completely natural - it has not been heated or treated in any way! It has a very well developed natural six ray star when viewed under direct sunlight, with a fairly even background showing natural inclusions and cross-hatching. 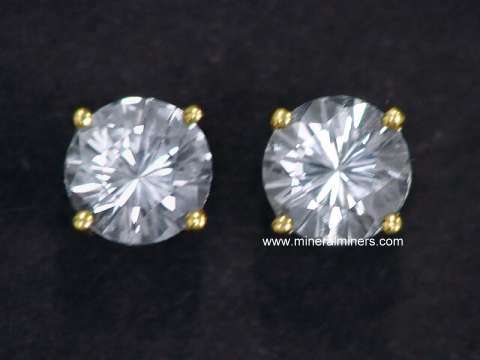 This natural sapphire gem is semi-transparent with an uneven rough backside and a nicely polished domed upper surface. 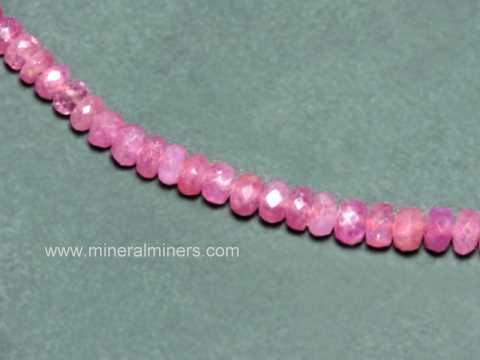 See a side view photo of this natural star sapphire pendant. This gem was handcrafted from a natural star sapphire crystal that was mined in Sri Lanka (Ceylon). This solid 14k yellow gold star sapphire pendant is set with a natural star sapphire cabochon gemstone. This genuine Ceylon star sapphire measures 7.8mm x 7.0mm x only 2.5mm deep (shallow cut) so it faces up looking like a much heavier and more expensive gem that would weigh over 3 carats. This pendant will make a very nice star sapphire necklace! This genuine star sapphire cabochon gem has light silvery-gray natural color. This sapphire gem is completely natural - it has not been heated or treated in any way! It has a well developed natural six ray star when viewed under direct sunlight, with a fairly even background showing faint natural inclusions and cross-hatching. This natural sapphire gem is translucent. It was handcrafted from a natural star sapphire crystal that was mined in Sri Lanka (Ceylon). This solid 14k yellow gold star sapphire pendant is set with a natural star sapphire cabochon gemstone weighing 3.79 carats. This pendant will make a very fine star sapphire necklace! See another top view photo of this natural Burmese star sapphire pendant. This genuine star sapphire cabochon gem has light grayish blue-violet natural color. This sapphire gem is completely natural - it has not been heated or treated in any way! It has a very well developed natural six ray star when viewed under sunlight with a mostly even background and a few natural inclusions. This semi-transparent gem was handcrafted from a natural star sapphire crystal that was mined in Burma in 2002. See also a side view photo of this natural star sapphire pendant. This unique 14k yellow gold star sapphire pendant is set with a natural star sapphire cabochon gemstone weighing 3.14 carats. This pendant will make a very fine star sapphire necklace! See another top view photo of this natural Burmese star sapphire pendant. 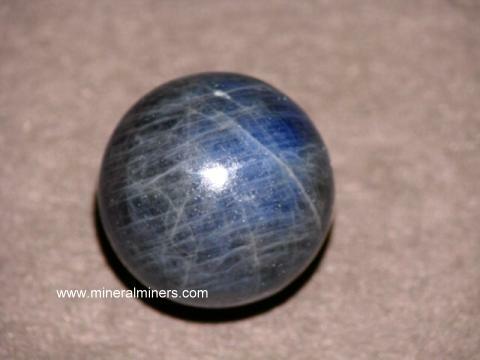 This genuine star sapphire cabochon gem has light grayish blue-violet natural color. This sapphire gem is completely natural - The polished upper surface of this gem shows a well developed natural six ray star when viewed under sunlight with a fairly even background showing faint cross-hatching and a few natural inclusions & a small (1mm across) natural unpolished surface depression (see a close-up). This semi-transparent gem was handcrafted from a natural star sapphire crystal that was mined in Burma in 2002. See also a side view photo of this natural star sapphire jewelry design. This is a solid 14k gold star sapphire ring, set with a natural star sapphire cabochon gem. This star sapphire cocktail ring is a size 6 1/2 that is set in solid 14k yellow gold. The genuine star sapphire cabochon in this ring has pale silvery-blue-purple natural color. This gem is completely natural - it has not been heated or treated in any way. It has a well developed natural six ray star when viewed under sunlight with very faint natural inclusions and a fairly even background. This translucent gem was handcrafted from a natural star sapphire crystal that was mined in Ceylon. This 14k gold star sapphire ring is set with a natural star sapphire cabochon gem. This star sapphire cocktail ring is a size 6 1/2 in solid 14k yellow gold. The genuine star sapphire cabochon in this ring has pale silvery-blue-purple natural color (almost colorless). See also a photo of this star sapphire ring taken under direct sunlight. This gem is completely natural - it has not been heated or treated in any way. It is shallow cut making it face up large with relatively little weight. This unique star sapphire gem has a well developed natural six ray star when viewed under sunlight with faint natural inclusions. This transparent gem was handcrafted from a natural star sapphire crystal that was mined in Ceylon. This solid 14k yellow gold star sapphire pendant is set with a natural star sapphire cabochon gemstone weighing 5.95 carats! 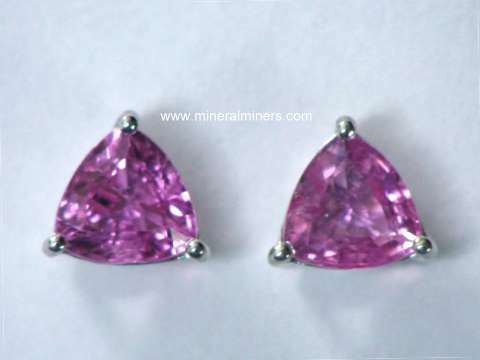 This pendant will make a wonderful star sapphire necklace, and it has a nice low profile. 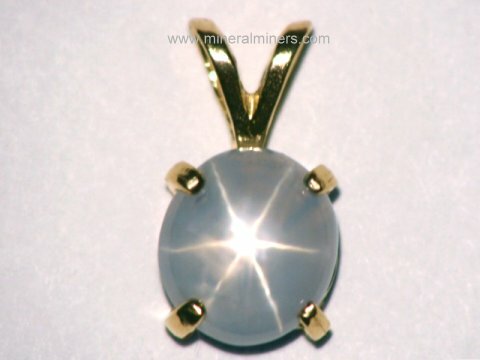 See a side view photo of this natural star sapphire pendant. This genuine star sapphire cabochon gem has light silvery-gray natural color. 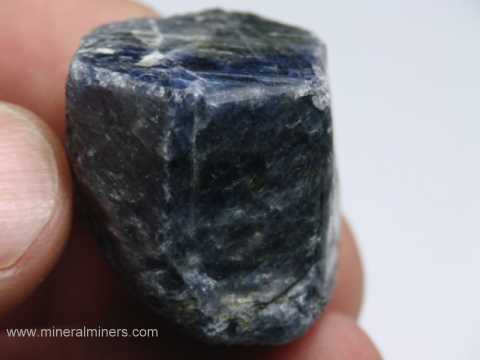 This sapphire gem is completely natural - it has not been heated or treated in any way! This unique gem has a well developed natural six ray star when viewed under sunlight with some hexagonal cross-hatching forming "V" shapes in its translucent background. See another side view of this natural star sapphire jewelry design. This genuine star sapphire gem was handcrafted from a natural star sapphire crystal that was mined in Sri Lanka. See also another top view of this star sapphire jewelry design under bright light. This is the end of our Blue Sapphire Rare Collector Items page. 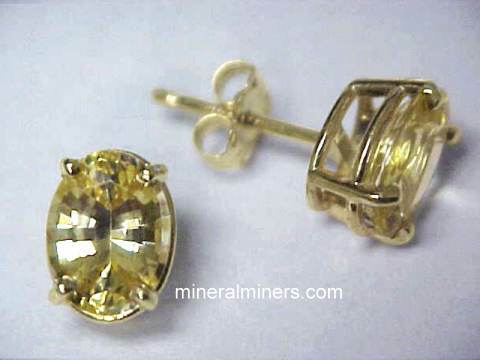 See also our natural Green Sapphire Jewelry page, and our page displaying Genuine Green Sapphire Gemstones. 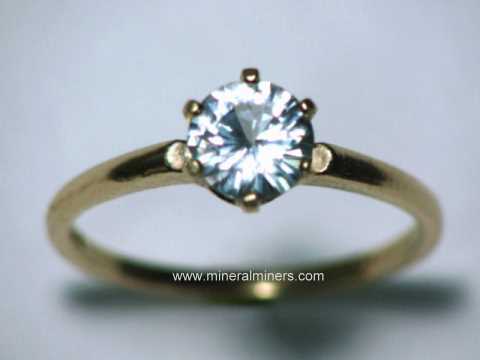 We have been hand-selecting our blue sapphire gemstones direct from the miners in Ceylon (Sri Lanka) since 1984, and we have a large selection of sizes & qualities in stock including fine quality GIA certified Ceylon blue sapphire collector gemstones that are perfect for setting into custom made blue sapphire jewelry designs! We also have a selection of natural blue sapphires that were mined in Thailand, in Australia, and in East Africa, and we have some nice matching pairs of natural blue sapphire gemstones that are perfect for blue sapphire earrings. 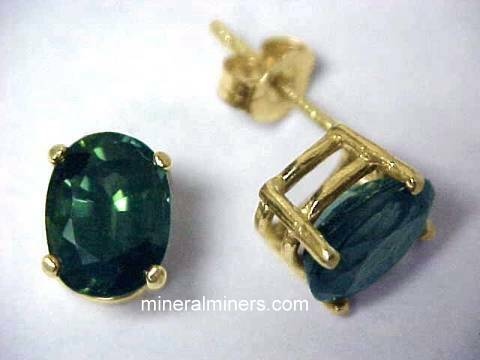 We have a large variety of genuine blue sapphire jewelry items available set in 14k gold designs including blue sapphire rings, blue sapphire necklaces, blue sapphire earrings & and blue sapphire pendants. See also our Blue Sapphire Crystals. 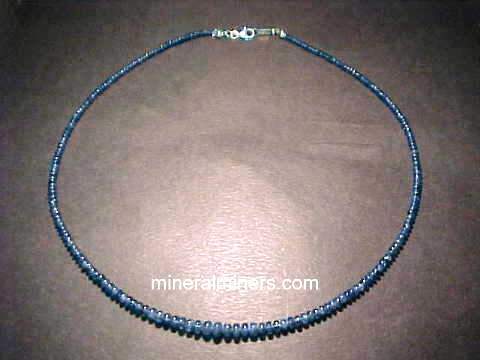 Would you like us to inform you when we add on this page more natural blue sapphire collector grade items? We have a limited inventory of natural blue sapphire items in stock, so be sure to let us know if you have any fine quality blue sapphire requests. Please contact our webmaster or our 'site' geologist with any questions or comments.